This guide is for "hybrid" merchants, who use the old platform and the new Lengow platform together. The plugin is compatible from version 1.4.4.1 until version 1.6.
update your PrestaShop plugin (recommended). enable the feature "Limit to one order per import". Click on "Configure" to access plugin configuration. This plugin is compatible with both Lengow versions. Please enable the platform(s) on which you have access, then enter your credentials for each platform. Access token: enter your access token. You can find it by clicking on your avatar on the top right corner of the page > "Company settings" > "Orders" > "Centralise orders" tab > "Access Token". Secret: enter your password. You can find it by clicking on your avatar on the top right corner of the page > "Company settings" > "Orders" > "Centralise orders" tab > "Secret". Tracker type choice: select a tracker to enable it. Product ID for tag: select product ID you send to channels through Lengow. Lengow can retrieve your products catalogue in different formats (csv, xml, json and yaml) thanks to the export script. It is then uploaded in your Lengow account when you add a products catalogue and can be used for channel setup Lengow. You can select specific products to export in your catalogue. Click on "Catalog", then on "Lengow". If you wish to publish or unpublish several products at once, tick the concerned products, then in "Grouped Actions", click on "Post on Lengow / Remove from Lengow". To publish/unpublish a specific product from the selection, click on the "Lengow status" icon near the concerned product. Page will automatically refresh with the updated status. Assign here a carrier to calculate your shipping fees. The suggested list is based on carriers which were set up in your PrestaShop back office. Exports the Lengow products selection only. When disabled, your whole catalogue will be exported. Exports all your products, whichever their status in PrestaShop (active or inactive). Automatically adds new products to your export catalogue. Exports parent products and their variations. This feature can be handy if you send your catalogue to marketplaces and Google Shopping. If you enable this feature, your variations titles will be displayed as follows: Title + attributes + features. For instance, a "Short-sleeved T-shirt" will be displayed as "Short-sleeved T-shirt - Colour: Blue - Size: S". When disabled, product name will be "Short-sleeved T-shirt". Note: an attribute is used to define variations. It can also influence product price and can be selected. A feature is a technical information on a product. Exports your out of stock products. Enable it if you sell on marketplaces, as most marketplaces request that you send a 0 quantity for out of stock products to correctly unpublish them. Choose image size you wish to export. Choose number of images you wish to export. Choose format to export (xml, json, csv and yaml). It is recommended to use csv on Lengow. Enable this feature if your catalogue contains many products (more than 3,000) or when your catalogue takes a long time to be generated. Your catalogue will be saved in a file/export of your Lengow plugin. Lengow will then retrieve this file to index your catalogue. Note: if you use a file, add a CRON task to keep your file updated. Choose the fields you want to export in the displayed list. Maintain the "control" or "command" key to select several fields. When the "Export product variations" feature is disabled, products features (as defined in PrestaShop) are not exported. If you enable this option, features will be exported in separate fields. You will find here the URL to launch your export script. It will appear under the following structure: www.your-shop-prestashop.com/modules/lengow/webservice/export.php. This URL will be used as a products catalogue URL on Lengow. Orders import consists in creating marketplaces orders in your PrestaShop back office. You can therefore manage and process your orders directly in PrestaShop. Before launching an import, it is important to configure the following settings. Although there are default options (defined by popularity), you can change them to suit your needs. It is important to complete this matching so that the plugin automatically updates orders on marketplaces and on Lengow. Customs payment method display. When an order is imported, there is no need to create a new payment, since the order has been already paid on the marketplace. 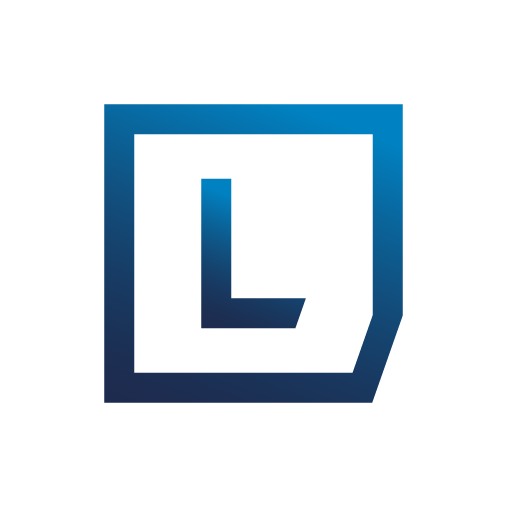 The Lengow plugin therefore implements a fictitious payment to display the payment name "Lengow" or the marketplace name (from which the order comes from). Assign a default carrier. The suggested list is based on the carriers which have been set up in your PrestaShop back office. Define the period on which you want to import orders. If you want import orders which have been placed over the past 5 days, simply enter the value "5". Orders which were already imported are saved in your database (so that orders are not saved several times). Imports orders along with prices displayed on the marketplaces. If the price in your PrestaShop is not the same as on the marketplace, the marketplace price will be considered. Thanks to this feature, you can force orders import even when products are out of stock or inactive. In case a product of an order is not available and this feature is not enabled, the concerned order will not be created. When this feature is enabled, marketplaces fees (commissions) are included in the order. This simplifies your accounting processes. When this feature is enabled, customers created during order import will all have a fictitious e-mail address, based on order number. Thanks to this feature, a customer who placed an order on the marketplace does not already have a PrestaShop account. Otherwise, if this same customer would place another order on your PrestaShop website, s/he will have an error message indicating s/he has an existing account. Retrieves the carrier selected by the customer on the marketplace. If the carrier is not available in your PrestaShop, the most popular carrier will be selected. Choose to receive a report e-mail for each import, which informs you whether there were errors during orders import. Provide here the e-mail addresse(s) to which you want to send import reports - you have to enable the "Report e-mail" feature beforehand. If you wish to enter several e-mail addresses, separate them with commas and without any space. If you do not provide any e-mail address here, your PrestaShop e-mail address will be considered. Limits order creation per launched import. It is meant to tackle the incompatibility issues for PrestaShop versions (from 1.5.2 until 1.5.4). It also prevents orders from being created twice. Informs whether an import is in progress. Logs indicate whether orders imports were performed without any error. The plugin integrates an interface informing when an order has been correctly imported or when an error has occurred. Click on "Catalog" > "Logs import Lengow". You may search per order (depending on the marketplace ID) to read the related message. For orders which were in error and which errors have been corrected, delete the message for the order to be imported again, as import is not automatically re-launched on orders which registered a log. This helps saving time on all imports. Debug mode: use it to carry out some tests with the Lengow plugin. When enabled, it imports orders under a fictitious Lengow order ID. Thus, actions carried out on imported orders will not be impacting in the Lengow platform. Note: when enabled, orders may be imported several times. Use this feature for testing purposes only. Export timeout: use this option to export into a file. It divides export products catalogue generation into several cycles which duration is defined by the value you provide in the field. You can therefore avoid timeout errors. Logs: all plugin actions are saved in the listed files. Log files lifetime is 5 days. Go to the CRON tasks manager to add a new CRON task. Then click on the '+' icon to add a new task. Task description: provide your task name. For example: "Cron Export Lengow". Target Link: provide your script URL. If you want to automate export (to export a file), paste your script export URL as provided in the plugin. The export URL should be as follows: http://your-shop-prestashop.com/modules/lengow/webservice/export.php. If you want to automate orders import, then provide import URL. The import URL should be as follows: http://your-shop-prestashop.com/modules/lengow/webservice/import.php. Task frequency: task execution frequency. PrestaShop only allows you to choose every hour as a regular frequency. As far as CRON import is concerned, it is actually recommended to leave at least 15 minutes between each CRON task. As for CRON export, Lengow indexes products every 4 hours. For both tasks, frequency is set every hour, every day of the month.